One of the pipes was touching, so I've trimmed a touch more off to stop it creaking. I can't feel any draught coming from the hole. Please remember if the pipe is touching wood or tight in the hole it will click and creak. It doesn't normally matter at the edge where no one will tread. The only time it could be a problem is if there is a draught that blows up through the hole as this can carry dust and dirt and gradually mark the carpet. In which case I would block the hole as much as possible and then use a sealant gun to completely seal the hole. The carpet has now arrived, so I'm just going round double checking there's no loose boards before I lay it. 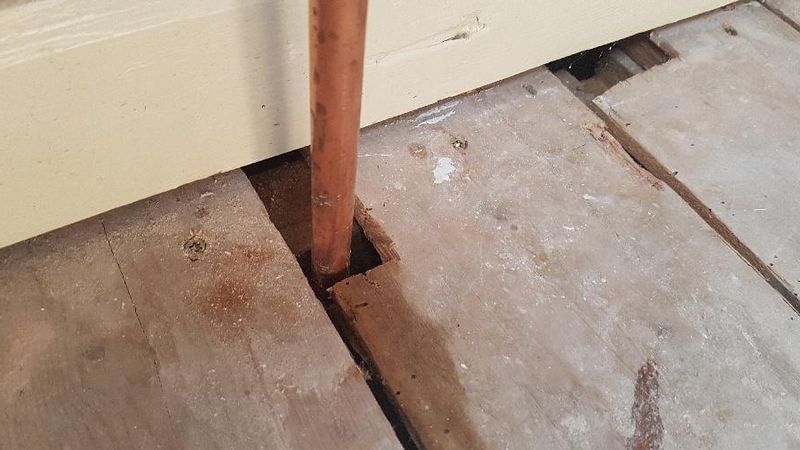 Is it worth trying to cut a little filler piece for these pipe cuts in the floor? You're dead right there. My Fein has got me out of so many holes. I remember laying some Click'n'Curse engineered boards in a flat. Started at the window and worked my way back to the door. Only thing is, the door was still fitted and as I got towards the door realised that I could no longer open it enough to get out of the room as it fouled on the new floorboards. Since disassembling the floorboards was a right PITA, I stuck my hand through the gap to see what tools I might be able to pick up to help me get out of the predicament I'd got myself into. My hand grasped the Fein and I used it to cut the bottom off the door and escaped. My pleasure! Fein Multimaster was what I was suggesting. It's got me out of more holes than I care to remember,. Best bit of kit I've bought for a long time. Other brands are available ! Not sure what you mean by a fein (small circ saw? Oscillating tool?) But all the damaged boards are loose, so i can run the damaged bit off on the table saw easy enough. Don't know why I didn't think of adding a bit of new wood to the board. Wood filler will run down into the gaps. I'd use a Fein or similar and cut out the broken area until you get a square edge all round. Then cut a small piece of wood to fit, glue up. If you are re-carpeting then that's all you need do. If you are worried about the wood falling through while the glue sets then put a screw into the piece of wood enough that you can grip it. Put whatever glue you have on most of the edge of the small piece of wood but leave a couple of bare bits at either end. Get yourself something fast-curing like MitreMate and apply that to the bare bits. Put the wood in position holding onto the screw until the MitreMate has set (20 secs or so). That will then hold the wood in place while the proper stuff goes off. 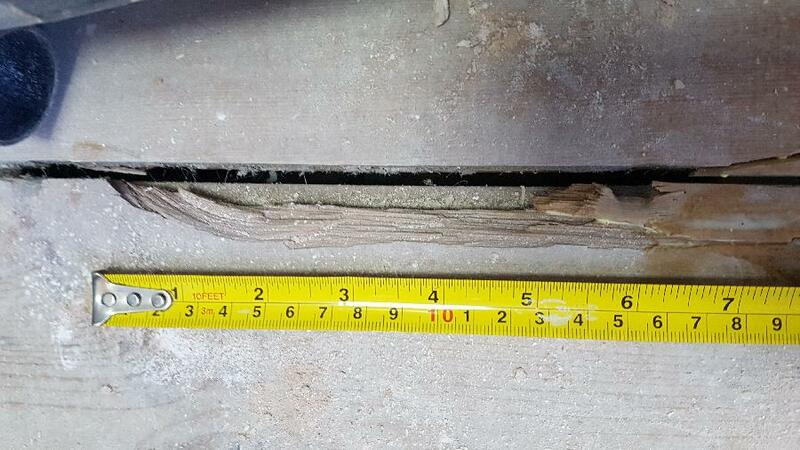 When this house had central heating installed, they weren't overly gentle lifting the floorboards leaving some big bits missing which You could feel through the carpet. I've found some of the missing bits under the floor and have glued them back on, but what's the best way of dealing with the others? Spoon the holes full of wood filler?